Some love the beach and some love a cozy cabin in a mountain resort. 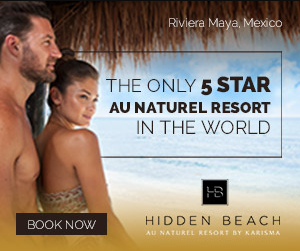 When romance is in the air we can we can get you to the sexiest destinations in the world. Paris, Barcelona, Amsterdam, Hawaii , Havana, Tokyo or Negril and Runaway Bay. We will make your dream come true. Imagine strolling down the Champs Elysees or viewing the Paris from the Eiffel Tower, if you can imagine it we can arrange it. We’ll book flights, hotel rooms and cars or find the a package vacation that is right for you. Be Live Hotel opened their doors to the new Be Live Collection Punta Cana ADULTS ONLY and invites you to enjoy an unforgettable stay in a unique environment. Specially designed for adults with the finest attentions and VIP services, Concierge Service and much more! Furthermore, Be Live Hotels’ Resort Credit of $200 when staying five nights or more will lift the experience to another level. All clients from the Be Live Collection Punta Cana Adults Only will be able to enjoy all facilities of the Be Live Collection Punta Cana, including all restaurants and bars, the pools and the beach, entertainment, the gym, the sport grounds, the Kviar Club & Casino. You will not get bored staying with Be Live Hotels!